At the K9 Health Centre we follow a multimodal approach to rehabilitation combining different therapeutic exercises and treatments either as an in-house patient, day or on an appointment basis, six days per week. Depending on what each pet requires, the rehabilitation session will be structured and modified on a case-by-case basis. This individual program can help your dog or cat recover from orthopedic surgery, heal from an injury, deal with osteoarthritis, regain decreasing performance during competition, or help address mobility issues associated with ageing. Every pet will have a different experience during the rehabilitation process. Depending on the condition being treated and the desired effect, the number of rehabilitation sessions will vary. Your dog or cat will be reevaluated at each session and progress will be closely monitored. 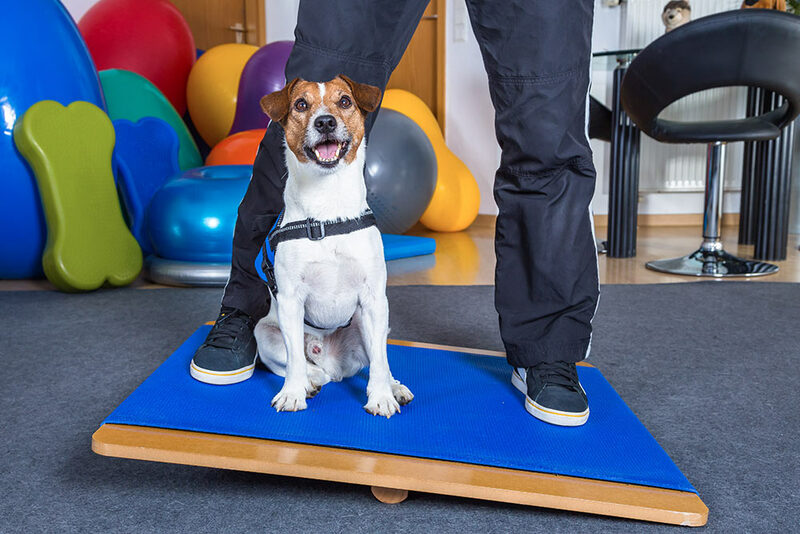 When rehabilitation sessions, pain management through your Veterinary Surgeon, and a home exercise program are combined into a comprehensive program, your pet will not only regain function and strength in the affected area, but will be more comfortable and more able to fully enjoy life.